New math concepts can easily frustrate kids. 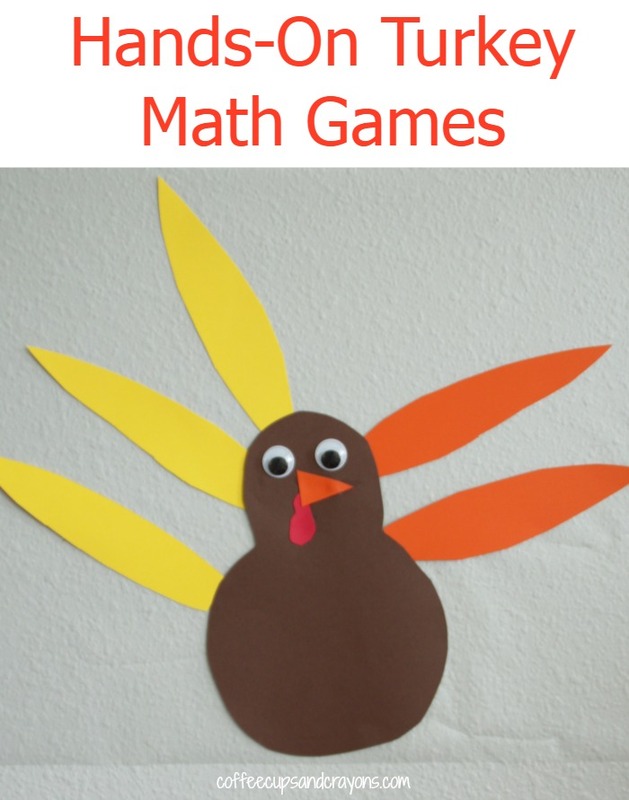 To keep it fun we made a hands on turkey math game! Actually it was more than just hands on–it was a move and learn math activity! 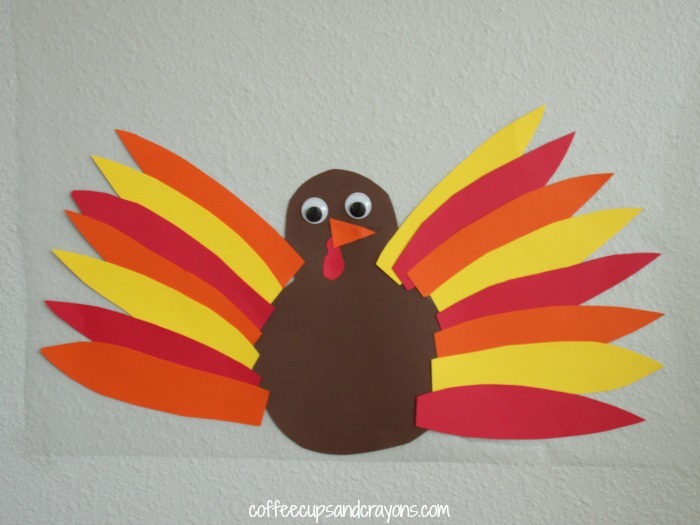 To create the game I cut a turkey body and feathers from card stock and added a face to the body with the googly eyes and bits of paper. I cut a square of clear contact paper and took off the backing. I taped it to the wall with the sticky side facing out and stuck the turkey body on it and placed the pile of feathers on the floor below it. The card stock feathers can be stuck and re-stuck to the contact paper so you can play more than one math game with this set! Kids can sort the piles of feathers into color group (or by size if you cut them into different sizes) and then use the groups to create their own patterns. Common math patterns for kids to explore are ABAB, AAB, ABC, and AABB. Kids can solve simple addition sentences using the feathers as manipulatives. They can count to combine groups such as the 3 yellow feathers and 2 orange feathers in the photo at the top. Making addition hands-on is a great way for kids to internalize the concept. Have the kids put as many feathers as they want on the turkey. Then ask them to solve how many are left if they take away a certain amount. Actually taking the feathers off of the turkey and counting back or counting how many are left will help them to really “get” what subtraction is all about.